Try their Sushi Rolls, Charbroiled Skewers, Draft Beer, Sake Bombs, & House Wines. 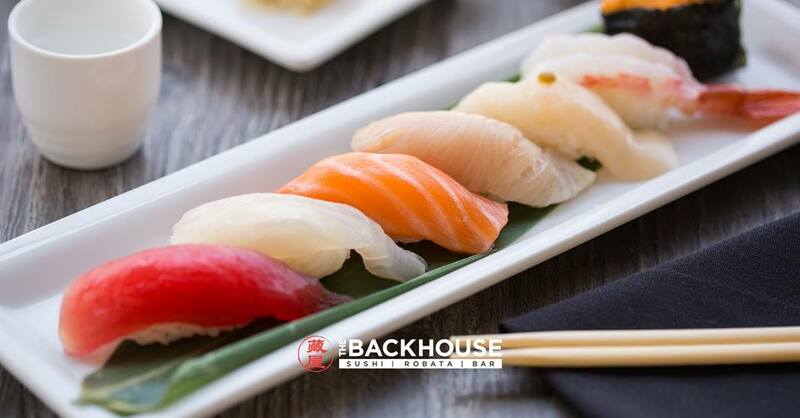 The Backhouse is a Yakitori & Sushi restaurant with a wonderful selection of Yakitori items. They also have an Izakaya menu (Japanese style tapas) with an amazing selection of delicious small plates. Get a drink at their full bar while watching the chef cook your food from the open kitchen!